Because those will be days of distress unequaled from the beginning, when God created the world, until now - And never to be equaled again. I believe we are literally entering a climatic state of prophetic events that will merge on the scene and show itself as a major, undeniable signage that the Day of the Lord is upon us. It will be frightening to those who are ‘’Not covered by the Blood of the Lamb. And do not have the Seal of God on their foreheads, and an exciting yet prayerful and somber time to those who are covered. 2015? Don't forget the Tetrad 4 Blood Red Moons as Well. It is amazing that the Lord has entrusted and honored us to see the Days the Prophets spoke about. Thank you Lord Jesus. Amen. Therefore having overlooked the times of ignorance, God is now declaring to men that all people everywhere should repent, because He has fixed a day in which He will judge the world in righteousness through a Man whom He has appointed, having furnished proof to all men by raising Him from the dead. That by the Church would be made known the full-diverse wisdom of God to Principalities and to Rulers who are in Heavens. 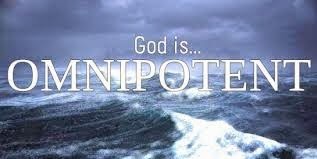 And I heard as it were the voice of a great multitude, and as the voice of many waters, and as the voice of mighty thunder, saying, Alleluia: For the Lord God Omnipotent Reigns. Strong’s G3841 – pantokratōr meaning he who holds sway over all things, the ruler of all; almighty God Translated as Almighty, omnipotent Comes from two root words: pas and kratos. Strong’s G3956 – pas meaning all, the whole, all things, everything. REIGN: to exercise the power and authority of a sovereign; royal rule or authority; sovereignty; dominating power or influence; to possess or exercise sovereign power or authority; to have control, rule, or influence of any kind; to predominate; be prevalent; dominion, rule, govern, prevail. Does not my word burn like fire?" says the LORD. "Is it not like a mighty hammer that smashes a rock to pieces? And out of his mouth goes a sharp sword, that with it He should smite the nations: and He shall rule them with a rod of iron: and He treaded the winepress of the fierceness and wrath of Almighty God. 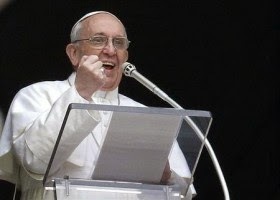 From His mouth goes forth a sharp sword with which He can smite (afflict, strike) the nations; and He will. Blessed are You, Lord our God, King of the universe, who forgives me of ALL of my sins, transgressions, and iniquities, in order that I might be restored to a right relationship. They asked each other" Were not our hearts burning within us while he talked with us on the road and open the Scriptures to us?" “Those who have insight will shine brightly like the brightness of the expanse of heaven, and those who lead the many to righteousness, like the stars forever and ever. ATS Bible Dictionary - Queen of Heaven A name given by the Hebrew idolaters to the moon, Jeremiah 7:18 44:17-18 - See ASHITORETH. But we will certainly do whatsoever thing goes forth out of our own mouth, to burn incense unto the queen of heaven, and to pour out drink offerings unto her, as we have done, we, and our fathers, our kings, and our princes, in the cities of Judah, and in the streets of Jerusalem: for then had we plenty of victuals, and were well, and saw no evil. But since we left off to burn incense to the queen of heaven, and to pour out drink offerings unto her, we have wanted all things, and have been consumed by the sword and by the famine. “Come down and sit in the dust O virgin daughter of Babylon Sit on the ground without a throne O daughter of the Chaldeans! 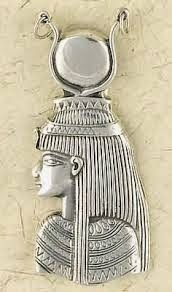 ‘’For you will no longer be called ‘’The Queen of kingdom’’ (she is Magna Mater) Who dwells securely – Who says in your heart ‘I am, and there is no one besides me. I will not sit as a widow ‘’Nor know loss of children’’ You felt secure in your wickedness and said, - No one sees me- But evil will come on you’. “You are wearied with your many counsels- Let now the astrologers-Those who prophesy by the stars- Those who predict by the new moons, Stand up and save you from what will come upon you. There is none to save you. The Lord says to Babylon, “Sit in silence and darkness; no more will they call you the Queen of nations! The next new moon will fall on September 24. The moon is full when the moon is on the opposite side of the Earth from the Sun. 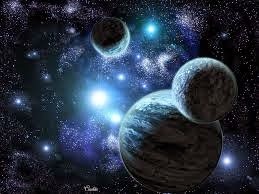 Another way to look at it is that the moon, sun and earth are in a line with the earth being between the sun and moon. 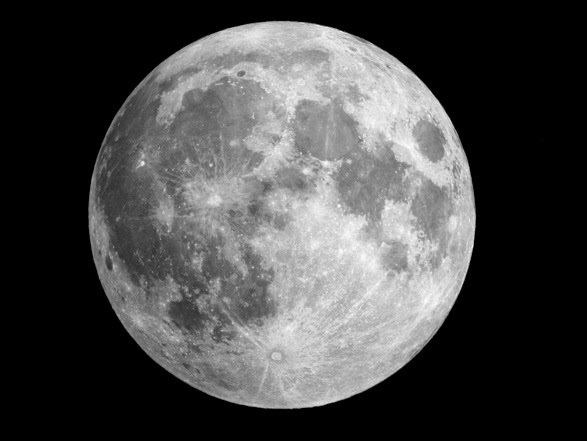 When this occurs the entire surface of the moon looks to be illuminated. 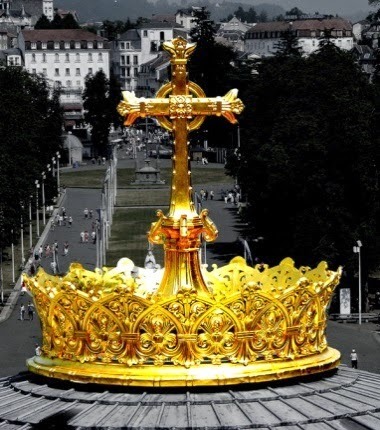 Say thou unto the king and to the queen-mother, Humble yourselves, sit down; for your head-tires are come down, even the crown of your glory. But you said in your heart, 'I will ascend to heaven; I will raise my throne above the stars of God And I will sit on the mount of assembly In the recesses of the north. I will ascend above the heights of the clouds; I will make myself like the Most High. Notice how Berg (Berg-oglio) means Mountain, matching the below 3rd Fatima Secret illustration of the Last Pope ascending Mount Calvary, in a distinct “White-Going-Black” Alchemical Scenario. The Word of God states clearly that there is only one who is worthy to ascend The Holy Mountain of God. "I have installed my king on Zion, my Holy mountain. * We are declaring in Jesus name a breaking of the skull and crossbones of Death and Hell with divination and occult practices. 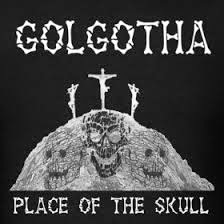 The Order of the Skull of death has been broken by the Lord Jesus Christ at the place of the skull: Golgotha. * We come out in Jesus name from the false Trinity in the heavens of all the family agreements ever made. The Doctrine of Transcendental Magic. 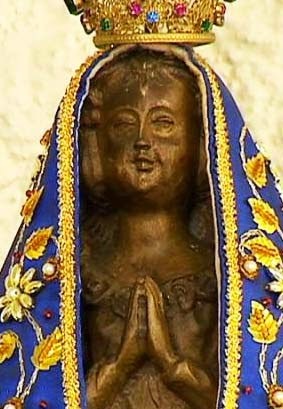 Our Lady Ordered John Paul II to transfer Catholic Authority to Fatima Portugal in 1944. Power does not surrender of itself; it must be seized. The Doctrine of Transcendental Magic, PART II: page 56 ”During the kingdom of John Paul II the cornerstone from Peter's tomb must be removed and transferred to Fatima. But there were false prophets also among the people, even as there shall be false teachers among you, who privately shall bring in damnable heresies, even denying the Lord that bought them, and bring on themselves swift destruction. March, 2004- John Paul II follows orders from God and transfers Church Authority from Rome to Fátima. Released on April 21, 2010 for the people. 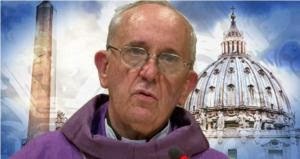 Now I will reveal the third part of the secret - This part is the apostasy in the Church! 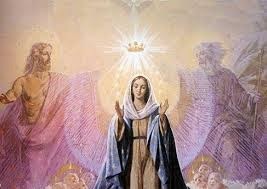 (1) Our Lady showed us a vision of someone who I describe as the 'Pope', standing in front of a praising multitude. But there was a difference with a real Pope, the evil look this one had eyes of evil. (2) Then after a few moments we saw the same. The events began on Oct. 12-2013 when Pope Francis led a Marian prayer vigil. "Let us invoke Mary's intercession. May she help us to be open to God's surprises, to be faithful to him each and every day, and to praise and thank him, for he is our strength. They dress the wound of my people as though it were not serious. “Peace, peace” they say, when there is no peace. Peace, when there was no peace. 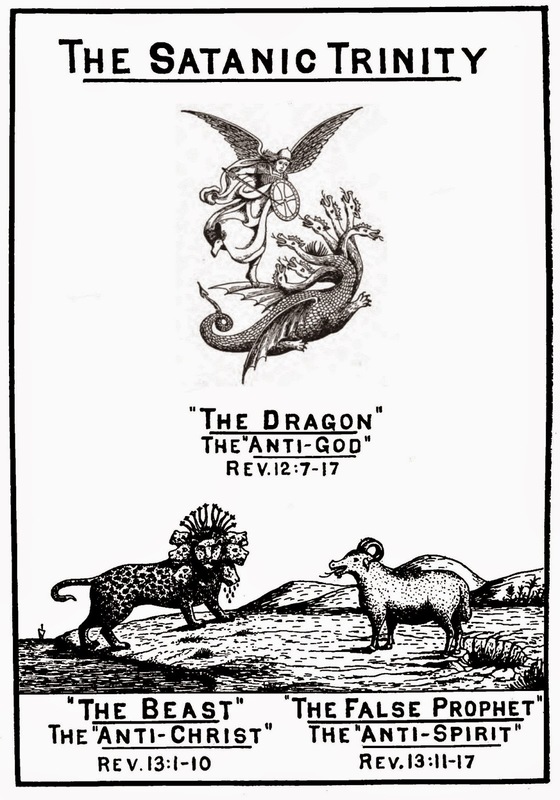 This, as in Micah 3:5, Jeremiah 6;14; Jeremiah 23:17; Zechariah 10:2 was the root evil of the false prophet's work. He lulled men into a false security, and so narcotized their consciences. One built up a wall. Thus said the LORD concerning the prophets that make my people err, that bite with their teeth, and cry, Peace; and He that putted not into their mouths, they even prepare war against him. They say still unto them that despise me, The LORD hath said, Ye shall have peace; and they say unto every one that walked after the imagination of his own heart, No evil shall come upon you. But those present were eager to stress that the consecration doesn’t end there if the world is to be converted. Quote from -Edward Pentin is the Register’s Rome correspondent. Newly elected Pope Francis appears at the window of his future private apartment to bless the faithful, gathered below in St. Peter's Square, during the Sunday Angelus prayer at the Vatican. But during the Feast of Our Lady of Sorrows, Pope Francis ended his reflection with the assurance of hope from the Virgin Mary and the Mother Church. "Today we can go forward with a hope: the hope that our Mother Mary, steadfast at the Cross, and our Holy Mother, the hierarchical Church, give us," he said. 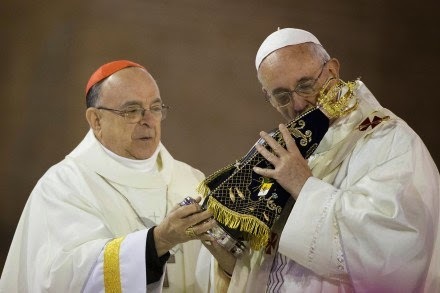 On Sunday 13 October 2013, Pope Francis celebrated Solemn Mass in St Peter’s square in honor of the Marian Day, an event organized as part of the Year of Faith, on the anniversary of the final apparition of the Blessed Virgin Mary at Fatima 13 October 1917). As part of this celebration, He also consecrated the world to the Immaculate Heart of Mary. 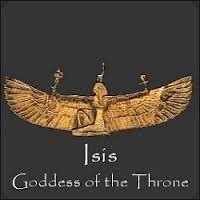 Isis, was for almost 3,500 years, the principle Goddess of Egypt The Queen of heaven. 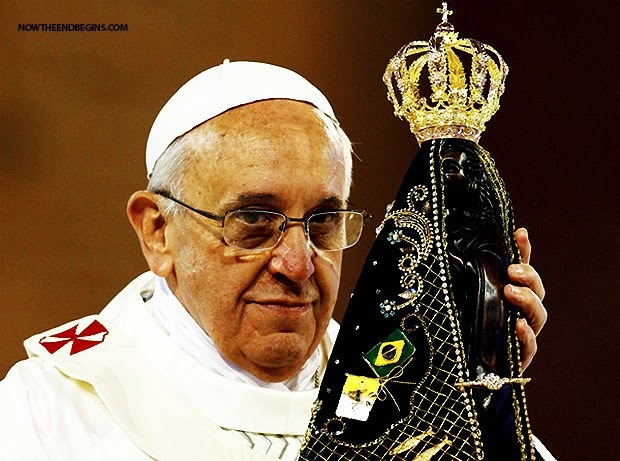 Under his visit to Brazil, the Pope carried the black Brazilian version of The Queen of heaven. The statue, located in the famed Piazza di Spagna, was consecrated in 1857, several years after the adoption of the dogma of the Immaculate Conception. Tens of thousands of faithful gathered for the celebration. 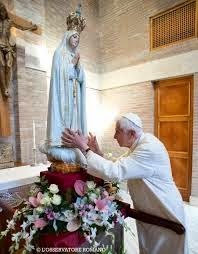 “Holy and Immaculate Virgin, to You the honor of our people and caring guardian of our city, we turn with confidence and love,” the holy Father said beginning his prayer. Pope Francis confirmed head of Marian death cult. 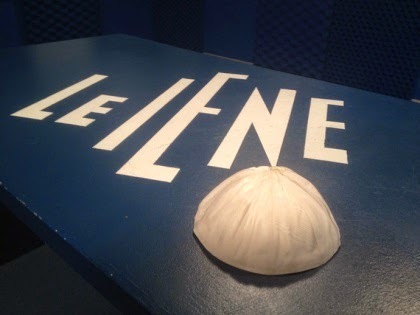 Hats off: Pope’s skull cap raises over $250k on eBay in less than 36hrs. The skull cap was posted on eBay on Wednesday evening It already gained over $100,000 in first 24 hours. On Friday morning the price rose to $250,000. The auction closes at Wednesday, September 24. RTNEWS – Read more in link below. Scripture never mentions Mary one time as being the hope of anyone or anything. But if you’re a Catholic Francis says that today we can go forward with a hope: the hope that our Mother Mary, steadfast at the Cross, and our Holy Mother, the hierarchical Church, give us.“ The position and title that Pope Francis has bestowed on Mary is, by his own words, equal or greater than that of the 2nd part of the Trinity, Jesus Christ. And though he has yet to use the words, he has effectually already placed her status firmly at the Godhead level. She will cause peoples brains to be stoned and your body to be stoned. She is the goddess Queen of stone, stoic, without conscience - fragmented but is so full of the eye of jealousy-if you look at her she will turn you into stone. Queen of the stone Masons. “But as for you, Daniel, conceal these words and seal up the book until the end of time; many will go back and forth, and knowledge will increase. Today at 8:50 Am NTEB News Desk - September 15, 2014. According to an article by Vatican Radio, it reports that Pope Francis attended the Feast of Our Lady of Sorrows on Monday morning Mass at Casa Santa Marta. He made a reflection on the Virgin Mary, on how she learned, obeyed, and suffered at the foot of the Cross. But we will certainly do whatsoever thing goes forth out of our own mouth, to burn incense unto the queen of heaven, and to pour out drink offerings unto her, as we have done, we, and our fathers, our kings, and our princes, in the cities of Judah, and in the streets of Jerusalem for then had we plenty of victuals, and were well, and saw no evil. But since we left off to burn incense to the queen of heaven, and to pour out drink offerings unto her, we have wanted all things, and have been consumed by the sword and by the famine. Pope Francis reportedly plans on removing Cardinal Raymond Burke from head of the Apostolic Signatura (Vatican "Supreme Court") and relegating him to the largely ceremonial role as head of the Sovereign Military Order of Malta. The new role would see Burke removed from the Roman Curia altogether. The Curia is the body of Vatican-based Cardinals who are close advisers to the Pope and who can be said to "run" the Church, or at least powerful organs of the Church. Vatican Diary / Exile to Malta for Cardinal Burke. As the impeccable prefect of the supreme tribunal of the apostolic signatura, he is on the verge of being demoted to the purely honorary role of “patron” of an order of knighthood. At the behest of Pope Francis – Read more in link below. Many of those who had practiced magic brought their books together and burned them in public. They added up the price of the books, and the total came to fifty thousand silver coins. 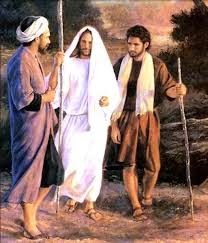 He said, “Go your way, Daniel, for these words are concealed and sealed up until the end time. 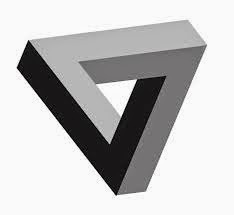 Many will be purged, purified and refined, but the wicked will act wickedly; and none of the wicked will understand, but those who have insight will understand. "So take diligent heed to yourselves to love the LORD your God. For if you ever go back and cling to the rest of these nations, these which remain among you, and intermarry with them, so that you associate with them and they with you, 1know with certainty that the LORD your God will not continue to drive these nations out from before you; but they will be a snare and a trap to you, and a whip on your sides and thorns in your eyes, until you perish from off this good land which the LORD your God has given. The Glory of the New Jerusalem But I saw no temple in it, for the Lord God Almighty and the Lamb are its temple. De Vier Ruiters van de Apocalyps!